Recently 10 students from Mrs. Reidy’s Engineering class won the National STEM League Competition at SolidWorks headquarters in Waltham. Going into the competition may have seemed daunting to some, but the Andover team handled it with composure. Many schools entered with close to 100 competing students. With only a fraction of that, Andover walked in the underdog, and left champions. The process began when members of the Engineering class submitted written applications on why they wanted to enter and how they would benefit from participating in the competition. The competition was split into three categories. The first was an electric car race, which Andover won. The next was a binary code challenge. Here, teams were given a series of numbers that they had to decode back into English. With the fastest and most accurate results, Andover took that win as well. The final category was a market pitch. For this, Andover split into two teams, each with a strong idea to propose. One team presented the idea of a racing car business. The other, a military grade phone case with various capabilities. The National STEM League competition was funded by Ten80, a company who, according to its website, works with educators and students “to empower all young people to understand and maximize their potential as critical thinkers, leaders and productive citizens in a prosperous society.” A leading sponsor at the event was the U.S. Army. This event captured the scholarly abilities of the students of Andover, but also, as Mrs. Reidy added, displayed phenomenal teamwork. This competition was challenging, and Mrs. Reidy felt that Andover won “because they weren’t just in it for points; they were engaged with the questions and worked to do their best.” When 10 dedicated, smart students from Andover entered, they proved that power doesn’t necessarily come in numbers and stole the show. 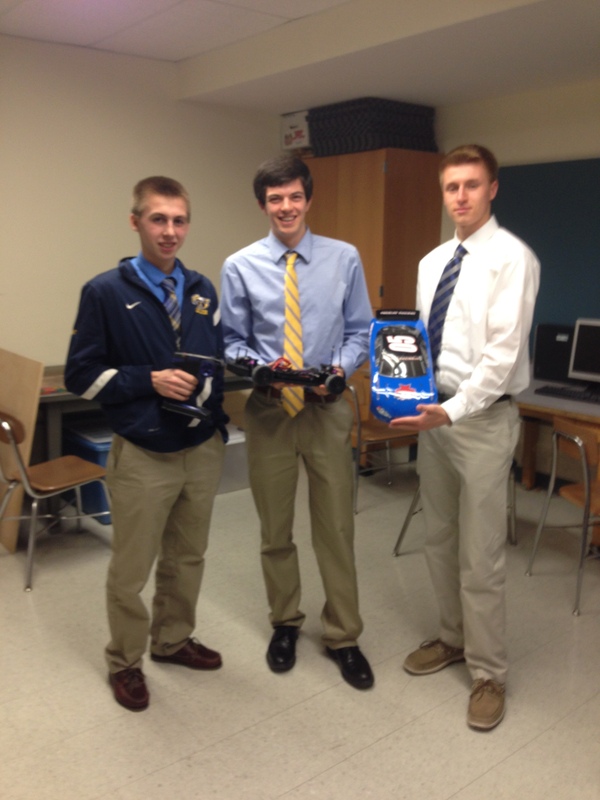 For winning first prize overall, the team walked away with a prize of an RC car. Don’t mistake this remote controlled car with the one your younger sibling has — this was a serious racer with intricate components and a cool blue paint color to match. Congratulations to the engineering team for winning the National Stem League competition.